At first blush, graduate students and the FIRE community don’t have much in common. FIRE stands for Financial Independence/Retiring Early; it is a movement to retire or reach financial independence (working becomes optional) very early in life, often by age 30 or 40. FIRE aspirants usually have high-paying jobs that they wish to stay in for only a handful of years, whereas graduate students are taking a large (theoretical) pay cut to acquire training that will set them up for long, productive, not necessarily high-paying careers. However, I think there is a great deal that graduate students can learn from the FIRE community (and vice versa), financially and otherwise, even if they do not have the same goals. 1) They have a clear vision of what their future will hold. FIRE people regularly fantasize about what they will do in retirement/upon reaching financial independence. They do so in detail. They have a plan for where they will live and travel, how they will fill their days, what skills they will use or learn, who they will spend time with, and how they will serve their communities. This detailed picture steels them for the sacrifices they are making in the present and motivates them to reach their goal on schedule. Unfortunately, it’s fairly common for graduate students to apply because graduate school is the next step in their educational progression or because they haven’t been exposed to careers outside academia. Even those who matriculate with a career in mind (usually research and/or teaching) decide against pursuing it in the course of their training. This lack or loss of career focus usually results in students languishing during their training or wasting effort on projects or skill acquisition that won’t serve them later on – not to mention the time not spent on appropriate networking. The clearer the career goal, both for students pursuing academia and those pursuing alternative careers, the more effective the student’s training can be. 2) They have a roadmap to their goal and obsessively track their progress. Another lesson along the same lines is that FIRE people have a detailed plan for how and when they will reach financial independence. They know exactly how much more money they need to earn, into what vehicles they will save and invest, and how they are going to maintain their lifestyles in the meantime. They track their financial progress on detailed graphs and spreadsheets. Grad students do create, from time to time, plans for their research progress, but then the plan always seem to go awry or get delayed. That is the nature of research. But the more closely a grad student can stick to a detailed plan, checking off experiments or sources one by one, the better off she will be in terms of keeping her motivation and productivity high. There should be an increasingly clear picture of what the end point will be as time goes by. 3) They work their tails off. FIRE people tend to be super hard workers. 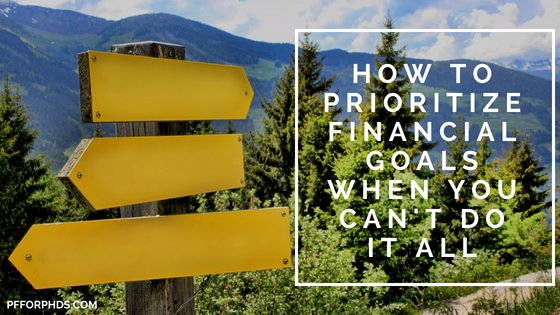 They often have demanding primary jobs, on top of which they might add one or more side income streams to get to financial independence even faster. FIRE bloggers additionally document their experience online. There is no doubt that grad students can work hard, but many fall into a pattern of working in fits and starts, such as in advance of deadlines. 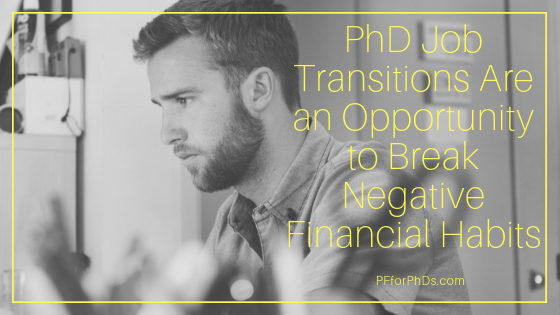 The uncertainty of the progression through grad school exacerbates this tendency. It’s very difficult to push yourself to work hard when you’re not sure where the hard work is leading (see points above). 4) They are uber frugal. 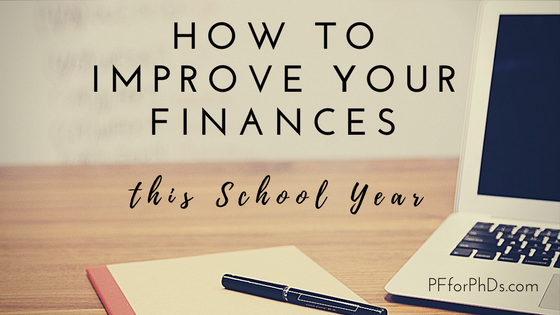 When I jonined the financial blogging community and started reading about other people trying out frugal strategies and challenging themselves to no-spend weeks and months, I wasn’t very impressed. That version of frugality was just my normal life living on a stipend! But FIRE people really know what they are doing when it comes to frugality – they are an extreme breed. The bar for frugality was set early on by Jacob from Early Retirement Extreme (a PhD scientist! ), who lived in an RV for a time. While not many FIRE people go that far, they have become masters of lifestyle cost minimization in a variety of creative ways. Grad students looking for ways to cut their lifestyles further can take some pointers from other FIRE bloggers like Mr. Money Mustache and the Frugalwoods. 5) They save like mad. There is no doubt that FIRE people understand the power of compound interest. They have taken it completely to heart. They are mad for investing and building up a large portfolio quickly so they can utilize the 4% rule to fund their lifestyles in perpetuity. Certainly many graduate students understand the power of compound interest as well. But some grad students I talk with just haven’t gotten around to starting to invest yet. Some think it’s not really worth getting started because they could only invest a small sum or a small stream. But the fantastic thing about compound interest is that, given enough time and a decent rate of return, it can turn even small sums into staggering ones. A FIRE person knows that putting away an extra $10, 50, 200 or whatever amount really does make an impact. Your savings rate is the most important factor in determining your ultimate portfolio balance, not the rate of return that you get on your investments. Further reading: The 4% Rule and the Search for a Safe Withdrawal Rate; How Important Is Your Rate of Return? ; Starting Down the Road to Financial Independence? Don’t Obsess Over Investment Returns, but You MUST Obsess Over This. Graduate students really have stepped off the beaten path when it comes to education and career, even though it doesn’t feel like it inside academia. Sometimes it’s worthwhile to take a look at other unusual but highly successful communities to adopt their best practices. Grad students would certainly benefit from taking a few pages out of the FIRE community’s book, even if their objective is not financial independence and early retirement.